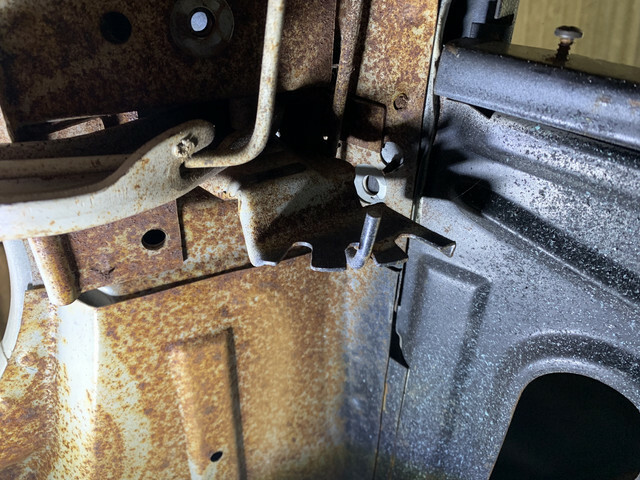 hi, has anyone removed the trunk lid hinges from their fastback/Mach 1 ? Any advice on how to do it, I've removed the single bolt on each side, but can't figure out in the limited time i had why the hinge was not separating from the upper panel. 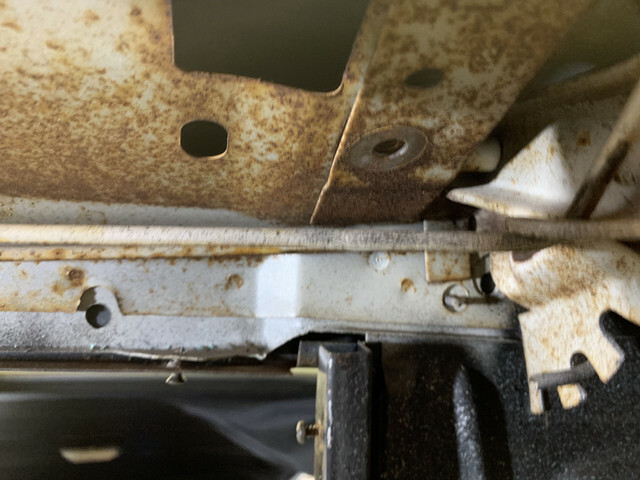 I figured it would be easier to clean away surface rust on the upper panel as you can see from the pics and do bodywork in trunk without bashing my head into the trunk lid hinges each time. They are welded in not bolted. It is a pain to change. I just cut them out of a vert. 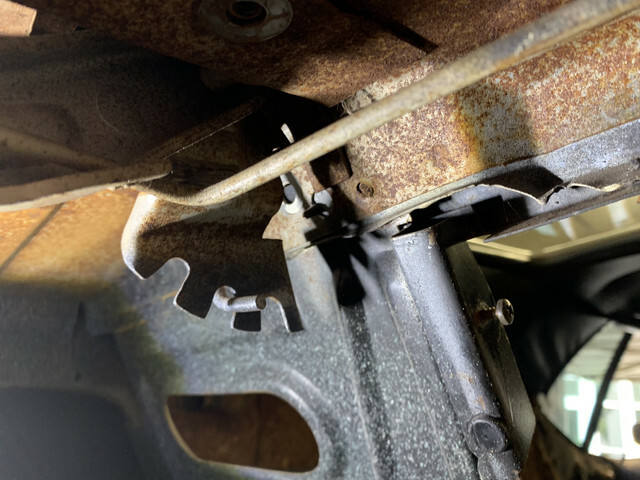 (03-23-2019, 06:27 PM)Carolina_Mountain_Mustangs Wrote: They are welded in not bolted. It is a pain to change. I just cut them out of a vert.